This week, neo-Nazi groups marched through the eastern German city of Chemnitz, attacking foreigners and showing the Hitler salute. The police, undermanned and possibly not quite as motivated as it should be, mostly looked on. Back in 2000, Kurt Biedenkopf, then prime minister of the federal state of Saxony, made a peculiar statement. Saxonians, said this experienced West German politician who had moved east after the fall of the Berlin wall, had “shown themselves to be completely immune against extreme rightist temptations.” Biedenkopf was wrong. And by banking on denial, he contributed to making things worse. This week’s right-wing riots that shook Chemnitz, Saxony’s third largest city, have roots reaching well back into the 1990s. That period was one of huge disruption for East Germans, calling into doubt much of what they had lived and worked for. It was also the time when neo-Nazi and right-wing extremists started to spread out their networks and make inroads into mainstream society. So, what happened in Chemnitz? 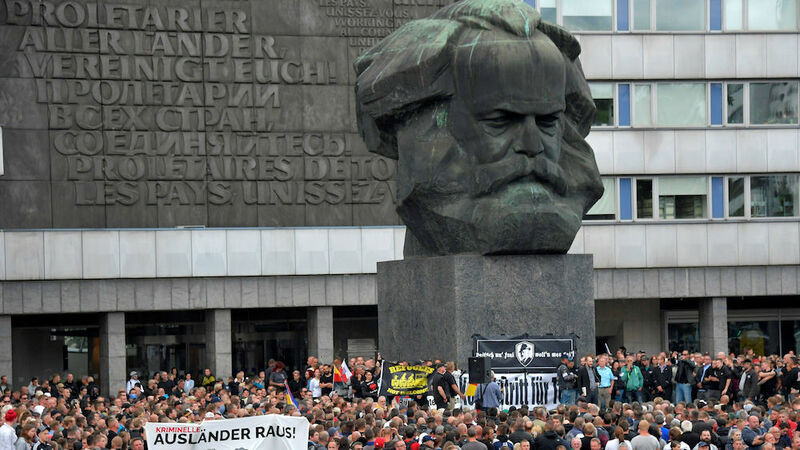 On August 26, a 35-year old German was knifed to death in this city of 240,000, a bleak place dominated by socialist-era high-rises and a gigantic statue of the head of Karl Marx. Police quickly arrested two refugees, a 22-year old Iraqi and a 23-year old Syrian, as the main suspects. That same evening, neo-Nazi groups took to the streets, hunting and attacking any foreigners they could find. Undermanned and under-equipped, the police mostly looked on. Worse, the police were still badly understaffed the next day when right-wing extremists organized another march through Chemnitz. 6000 people joined in, some of them hard-core Nazis who were emboldened enough to give the Hitler salute (a crime in Germany) in front of cameras and police units. 20 people were injured in clashes between neo-Nazis and left-wing counter-demonstrators. Clearly, the police operation was bungled; just as clearly, Saxony has a growing problem with right-wing sympathizers within the police and justice system. Shockingly, a justice official in the state capital Dresden took a picture of the arrest warrant for the two men from Iraq and Syria, listing their full names, the names of witnesses and the judges involved. The document was then illegally spread through right-wing social networks. The official was later suspended from his duties. In a more harmless, yet equally revealing incident in mid-August in Dresden, policemen had detained a television crew for 45 minutes during a rally of the anti-foreigner movement Pegida after one of the demonstrators had protested against being filmed. The demonstrator later turned out to be an employee of the state office of criminal investigation–he has since been suspended, too. Yet it took the Dresden police several days to officially apologized to the TV crew. For years, Saxony has led the statistics in Germany for hate crimes against foreigners. It was also home to the NSU, a right-wing terrorist group that between 2000 and 2007 murdered nine immigrants and one policewoman. In Saxony, neo-Nazis have established powerful informal networks. Soccer fan clubs play a particular role, as do right-wing rock bands. 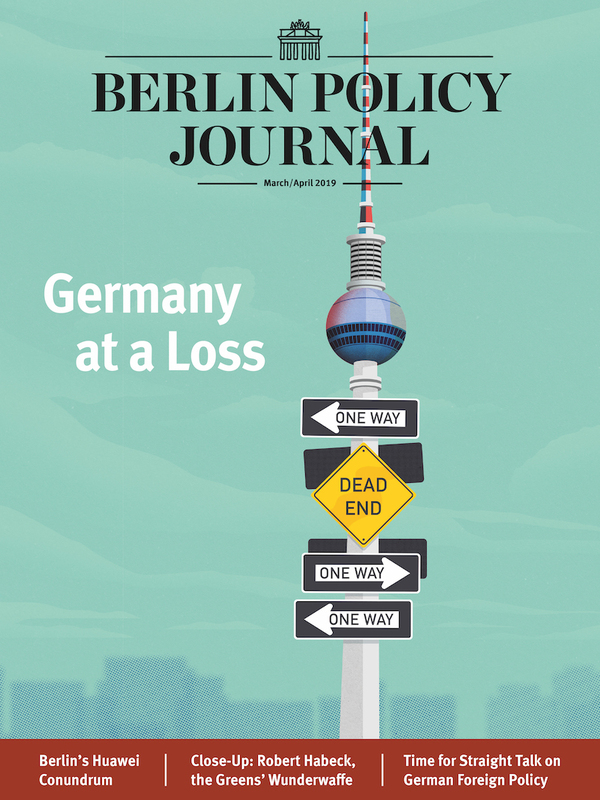 There are social, economic, and psychological reasons why the German far-right is so spectacularly successful in Saxony. This once heavily industrialized region was hit particularly hard by the economic disruption which accompanied reunification. High unemployment and low wages have contributed to a widespread feeling among Saxonians of being second-class citizens in the new Germany. And when Chancellor Angela Merkel welcomed nearly a million refugees to Germany in 2015, many East Germans felt even more abandoned, believing that the benefits they should have received were now being given to refugees. Such resentment is not limited to Saxony or to eastern Germany. In many of West German cities, competition between low-income indigenous groups and refugees for apartments or childcare is much more acute. But Saxony has a long political tradition of underplaying right-wing tendencies. 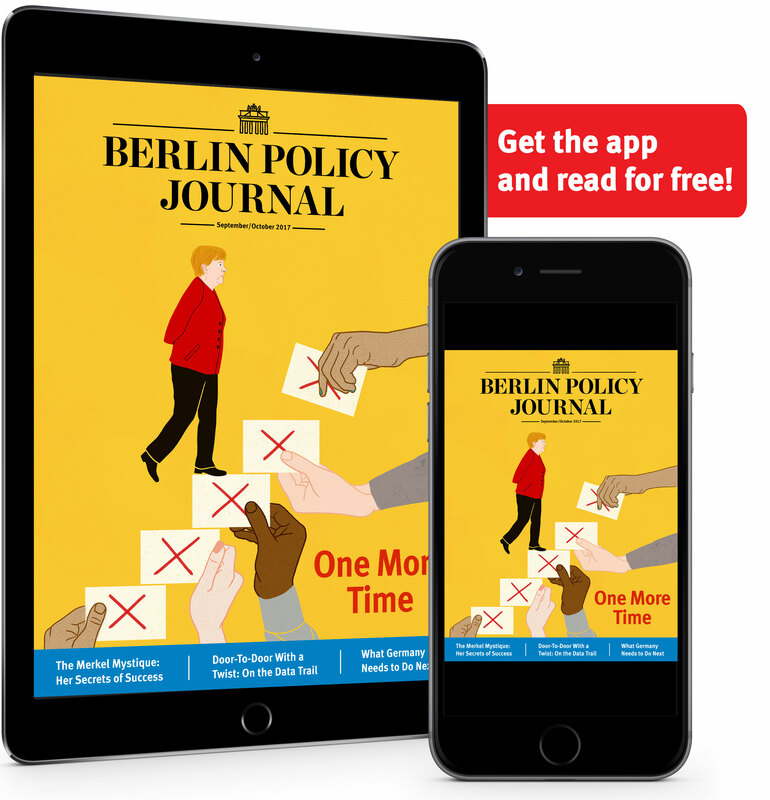 “Saxony does not have a significant problem with right-wing radicalism,” said then Prime Minister Stanislaw Tillich as late as 2011, echoing Biedenkopf. As a consequence, the police and justice system failed to combat neo-Nazism effectively. From fringe groups, right-wing ideology has spread not only into state institutions like the police, but also into politics. It was in Saxony that the far-right National Democratic Party (NPD) used to register its best results; it’s here that the Alternative for Germany (AfD) now scores highest. At the federal elections in 2017, the AfD received 27 percent of votes and emerged (by a tiny margin) as the strongest party in Saxony. Also, the AfD members of the Bundestag elected in Saxony are among the most radical in the party. The most prominent of them is Jens Maier, a judge (!) from the Dresden district court. The enormous success of the party in eastern Germany has also accelerated the radicalization of the party as a whole. Today’s xenophobic and revisionist AfD has little in common with the conservative, anti-Euro party founded in 2013 by West German conservative economists. And as the party has become more extremist, many of its members throughout Germany have become more radical as well. As a consequence, Germany now has a sizeable far-right party that in spite of its leadership squabbles is stable and well established. With 15 to 17 percent in the polls, it appears that the AfD is here to stay. In a European context, that would not be unusual. But for Germany with its Nazi past and the Holocaust, it’s a disturbing first.